This time he was calling about my recent column on the Transportation Strategy Board, the panel tasked 18 years ago with prioritizing our state’s transportation needs and how to pay for them. It wasn’t my fawning over then-TSB Chairman Oz Griebel that prompted Malloy’s recent call. Instead it was my characterization of the “lock box” on the Special Transportation Fund as having, according to one longtime transportation observer, “more back doors than a hot-sheets motel on the Berlin Turnpike.” Those were the source’s words, not mine. “That comment was not helpful, Jim,” Malloy said, explaining how it could affect their effort to gain support for tolls. That’s when I knew the plan was in real trouble. Why is he calling me, of all people? Not that there weren’t earlier warning signs that trouble was brewing. Read the full article on the CT Post website. 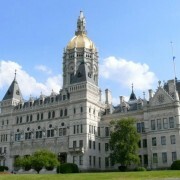 The Connecticut Department of Transportation’s Bureau of Public Transportation has recently been notifying House Hold Goods (HHG) moving companies that they have an obligation to have “initial” and ongoing background checks, including fingerprints, completed for their corporate officers. The Bureau of Public Transportation is demanding these requirements, even though many HHG movers are family businesses that have been in business in Connecticut for decades, and have never dealt with this type of request. When asked to cite a regulation that explicitly gives them the legal authority to order these background checks and fingerprints, Connecticut’s DOT Bureau of Public Transportation has repeatedly failed to provide a citation. Accordingly, it is hard to envision a HHG mover complying with this potentially expensive, burdensome, intrusive mandate until legal authority is clearly established. It is also worth noting the DOT’s Bureau of Public Transportation does not have jurisdiction over interstate moves. The Federal Motor Carrier Safety Administration (FMCSA) has jurisdiction over any interstate commercial trucking (and moving) operation. 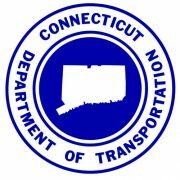 The only type of HHG move the DOT’s Bureau of Public Transportation would have jurisdiction over is a HHG move from one place in Connecticut to another place in Connecticut. In other words, they only have jurisdiction over INTRAstate moves. MTAC will alert members if the DOT’s Bureau of Public Transportation is ever able to cite a regulation which provides explicit authority for them to order background checks and fingerprints for corporate officers. If you have questions on this matter, contact MTAC’s Joe Sculley at (860) 520-4455. The Commercial Vehicle Safety Alliance’s (CVSA) International Roadcheck will take place June 4-6. Over that 72-hour period, commercial motor vehicle inspectors in jurisdictions throughout North America will conduct inspections on commercial motor vehicles and drivers. Each year, International Roadcheck places special emphasis on a category of violations. This year’s focus is steering and suspension systems. While checking vehicle compliance is always part of the North American Standard Inspection Program, CVSA is highlighting steering components and suspension systems this year as a reminder of their importance to highway safety. During International Roadcheck, CVSA-certified inspectors will primarily conduct the North American Standard Level I Inspection, a 37-step procedure that includes an examination of driver operating requirements and vehicle mechanical fitness. Inspectors may opt to conduct the Level II Walk-Around Driver/Vehicle Inspection, Level III Driver/Credential/Administrative Inspection or Level V Vehicle-Only Inspection. See the complete release from CVSA online. 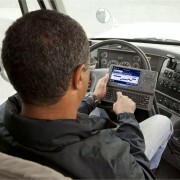 A “manufacturers crisis” in transferring automatic onboard recording device software into electronic logging devices is in the making, according to the head of the trade organization representing commercial vehicle inspectors. As a result, many carriers may not make the change in time for the Dec. 17 regulatory deadline, which would be an out-of-service violation for 10 hours at a roadside inspection, Mooney said. He believes there will not be an extension of the ELD final implementation date unless there is a regulatory change or legislative push by Congress. 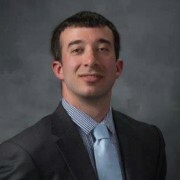 “So work with your vendor and make sure that you have the time period in order to transition properly,” Mooney added. See the complete article from Transport Topics online. Excerpt from legal brief by MTAC Partner Wilson Elser. On March 7, 2019, the Department of Labor (Department) announced a proposed rule that would make more than a million more workers in the United States eligible for overtime. The Department seeks to update and revise regulations set forth under the Fair Labor Standards Act (FLSA) implementing the exemption from minimum wage and overtime pay requirements for executive, administrative, professional, outside sales, and computer employees. This proposed changed would raise the current-enforced salary level for exemption, and as a result, would extend overtime protection to more workers. Under the current Department regulations, most white-collar employees—such as executives and supervisors—are exempt from the FLSA rules and are not paid overtime for workweeks in which they work more than 40 hours if they satisfy two conditions: (1) they must perform what the Department has deemed as “exempt” duties; and (2) they must receive a salary below $455 per week ($23,660 annually). Workers making at least this salary are eligible for overtime based on their particular job duties. The proposed rule focuses on the minimum salary requirement. This proposal comes more than two years after a federal judge granted a nationwide injunction to prevent the Department’s 2016 salary threshold from taking effect. In May 2016, the Department issued a rule increasing the standard salary level, which was declared invalid by the United States District Court for the Eastern District of Texas, and is being held in abeyance on appeal with the United States Court of Appeals for the Fifth Circuit. Following this, the Department collected comments from the public on changes to the salary requirements. The Department proposes to rescind the 2016 rule in three major ways. First, the new rule seeks to update the minimum weekly salary “to reflect growth in wages and salaries, and allow the inclusion of certain nondiscretionary bonuses and incentive payments to count towards up to ten percent of the standard salary level.” The Department’s proposal would extend the standard salary level for overtime to $679 per week—or $35,308 annually. Overtime eligibility above this salary level would be based on the employee’s job duties. The complete legal brief from Wilson Elser is available online. 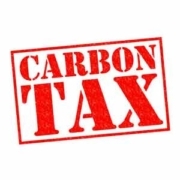 This week, MTAC President Joe Sculley submitted testimony in opposition to a bill that would establish a carbon tax in Connecticut. His testimony stated that he used information from ATA and ATRI to calculate potential costs to the CT trucking industry. Separately, the American Transportation Research Institute (ATRI) estimates that the average 18-wheel tractor trailer uses about 16,000 gallons of diesel fuel each year. Based on those numbers, below is a table showing what cost increases could be in store for Connecticut-based small business trucking companies if this bill passes. A copy of MTAC’s testimony is available here. MTAC is not necessarily opposed to the legalization of recreational marijuana. However, Commercial Driver’s License holders operating Commercial Motor Vehicles (CMVs) are required by federal regulation to be tested for controlled substances (drugs and alcohol), per 49 CFR Part 382 – CONTROLLED SUBSTANCES AND ALCOHOL USE AND TESTING. This will still be the case even if Connecticut legalizes recreational marijuana. The testimony also called for protections for employers. Accordingly, employers should not be penalized by the state in any way if they are forced to take action against an employee for simply acting in accordance with federal regulations. Any legislation to legalize recreational marijuana should, at a minimum, refer to federal regulations and provide protection for the employer who complies as required. Click here to see a copy of the complete testimony. Click on the link below to listen to the interview Joe Sculley did with WICC’s Mike Bellamy. HBJ Op Ed by MTAC President Joe Sculley. They say those who do not study history are doomed to repeat it. Everyone in Connecticut should study history of the creation of the state income tax, because the state appears on track to being doomed to repeat a bad decision by implementing tolls. When the income tax was being debated, it was pitched as the only way to restore fiscal stability. Since the new income tax would be created, significant sales-tax cuts were promised, and the sales tax rate was cut to 6 percent. That rate is currently 6.35 percent, but an increase to 7 percent is now on the table. Additionally, the initial income tax rates have also increased since its inception. Now, tolls are up for debate and are being pitched as the only way to secure revenue for the Special Transportation Fund. There are token offers to slightly cut fuel taxes in exchange for tolls. Tolls inherently increase once they go up, so we know that creation of tolls will be just like creation of the income tax. Once it’s there, the rates will only increase. On the off chance that fuel tax rates are actually cut in conjunction with tolls, I’d be willing to bet that fuel tax rates would find their way back up, just like the sales tax rate has following creation of the income tax. I will never forget the night I was at a forum held at the UConn Law School about three years ago, when a legislative leader from 1991 bluntly admitted that the idea of a spending cap was only floated to secure votes for the income tax. The income tax was passed, but legislative language implementing a spending cap was not put in place for more than 25 years. The spending cap was essentially meaningless, but it helped push through the income tax. See the complete Op Ed in the Hartford Business Journal online. In its early days, Paine’s Inc. Recycling and Rubbish Removal had a different idea of waste-to-energy. In addition to switching to swine-free disposal methods, the company has ballooned in size and influence since Paine started working at the family business in the early 1970s. 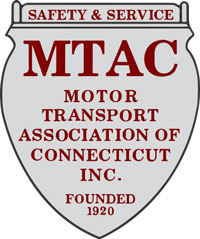 The current fleet of 53 trucks dwarfs the company’s disco-era count of four, and at the beginning of this year Paine began his first term as chairman of the Motor Transport Association of Connecticut (MTAC), which represents companies with commercial vehicles traveling state roads. His timing for stepping up on the MTAC pedestal coincides with Gov. 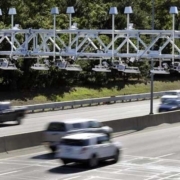 Ned Lamont laying the groundwork for tolling Connecticut’s highways, an initiative Paine says is short-sighted and informed by flawed logic. It would also cost his company more money. Read the full article at the Hartford Business Journal website.